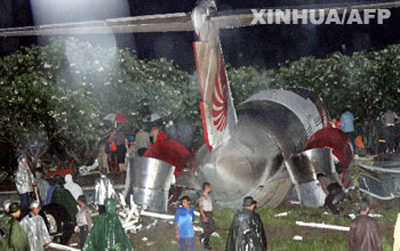 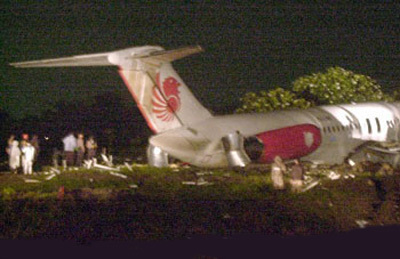 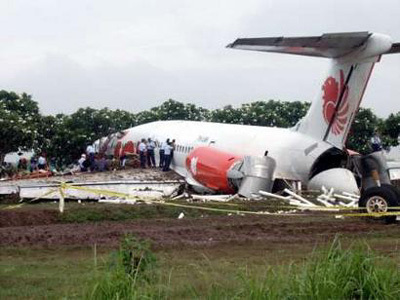 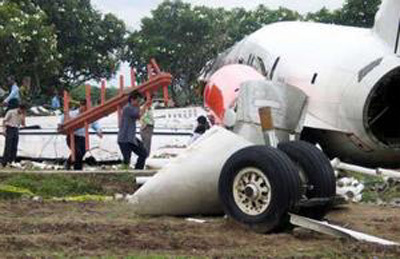 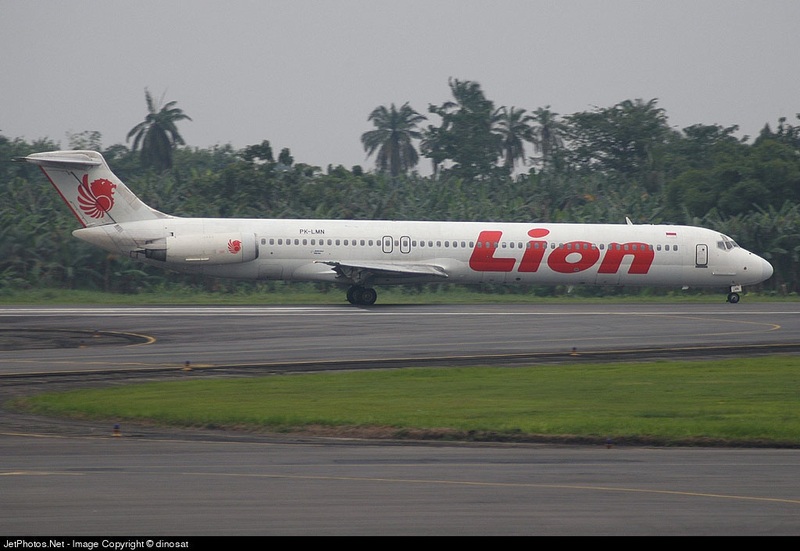 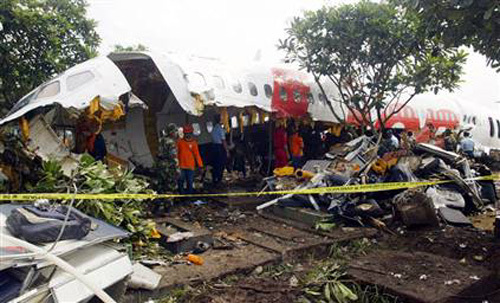 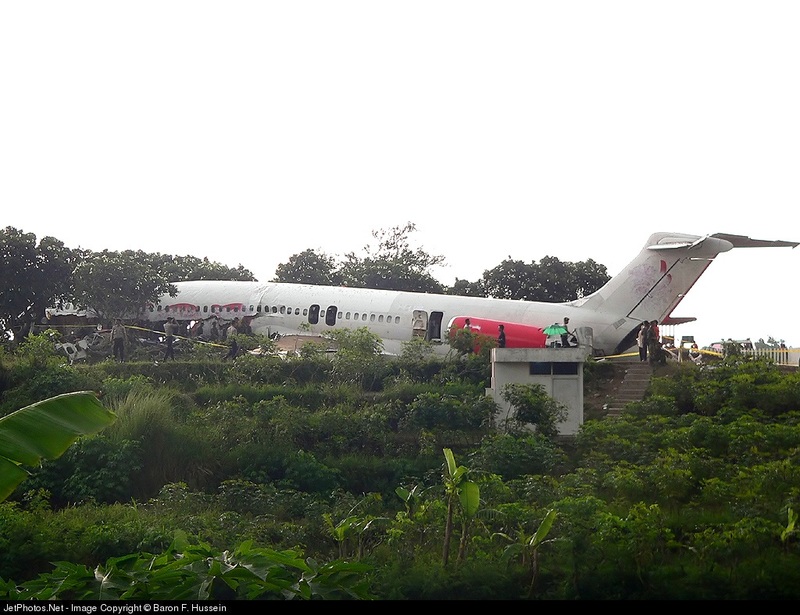 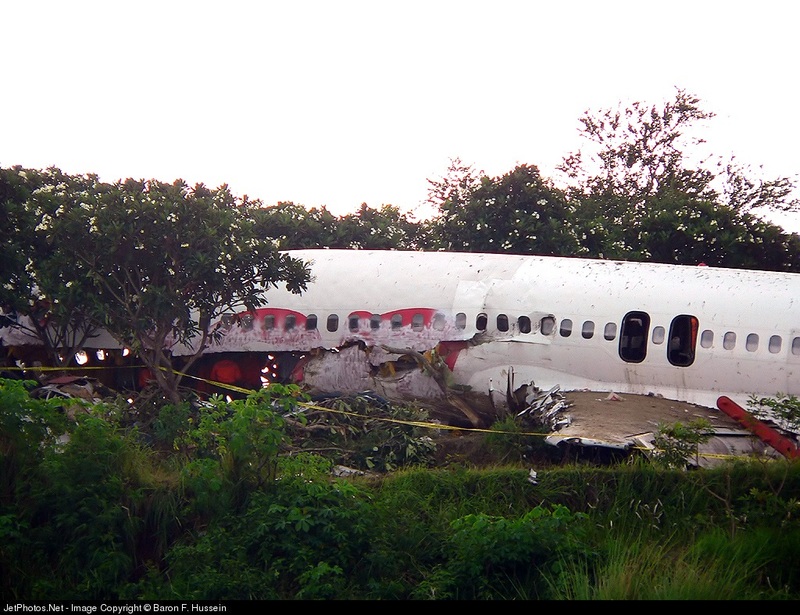 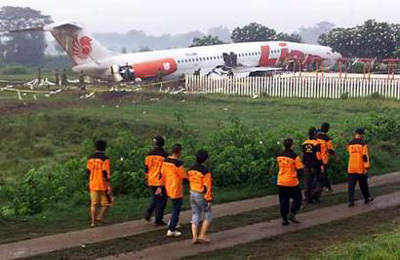 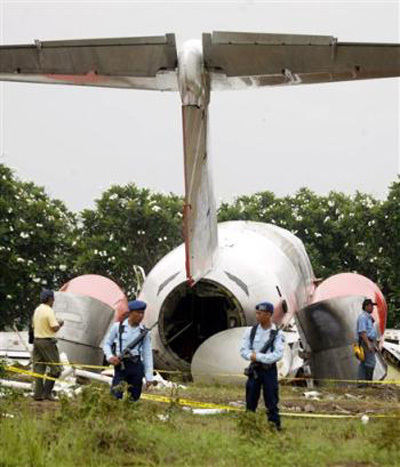 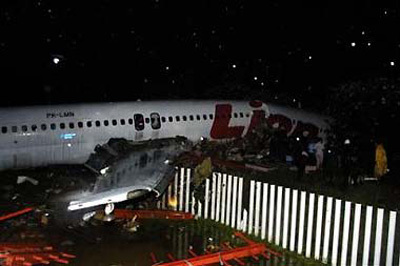 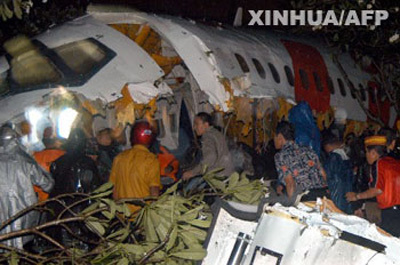 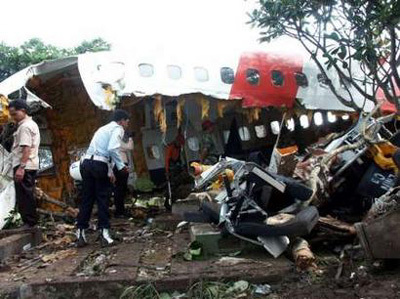 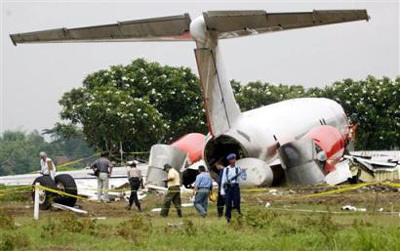 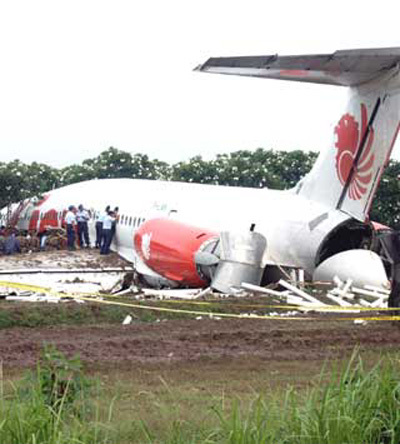 The aircraft skidded on landing on runway 26 and overrun before crashing in a cemetery. 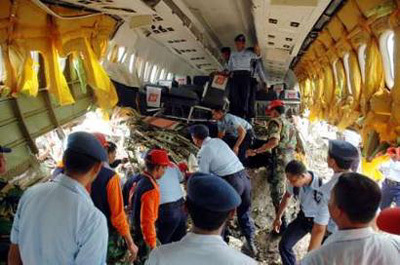 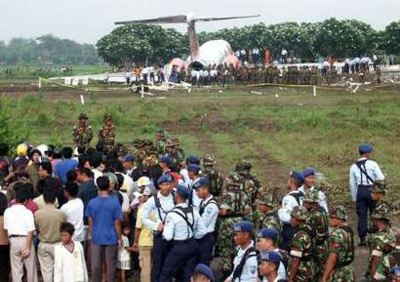 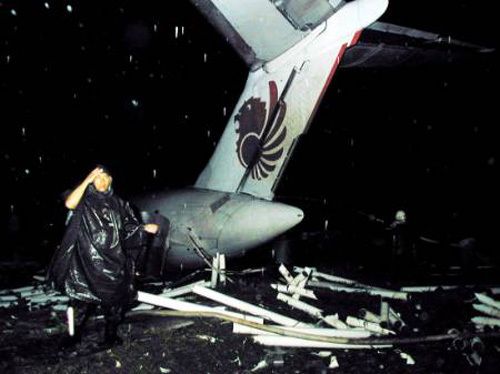 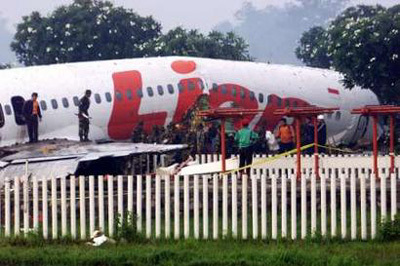 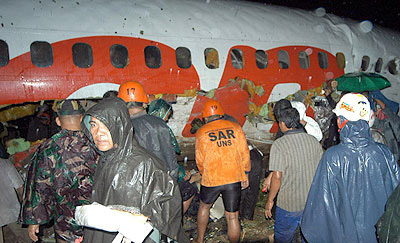 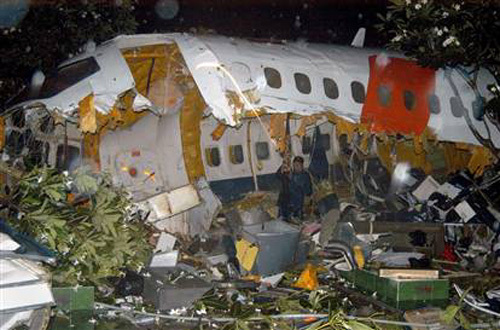 The aircraft was destroyed upon impact. 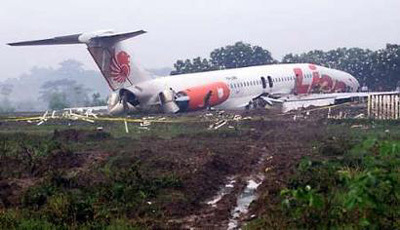 Crew landed with tail wind too fast on a wet runway.